2018 finished with a unique and one-of-a-kind light installation intriguingly named ‘Train of Lights’. 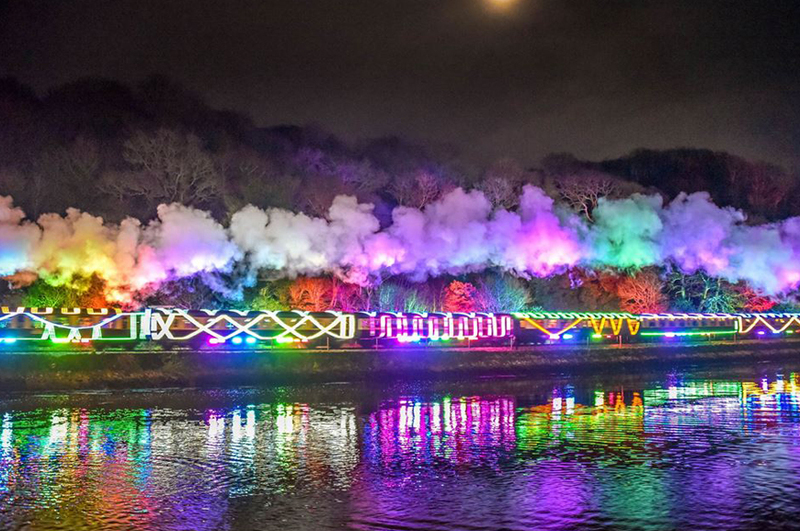 The ‘Train of Lights’ was in fact a fully functioning steam train, filled and decorated with 100’s of different types of lighting, including the Spectra exterior fixtures from LEDJ. We were certainly excited to hear from PL1 Events that our products had been used in such an extraordinary installation. After a successful 2017 magical Christmas of creating and designing the Saltram Enchanted Gardens, the Plymouth based PL1 Events team were then chosen to create what’s believed to be for the very first time in the UK, and possibly the world, the brand new, magical Christmas Train of Lights! Not only did they illuminate a moving train, they also designed the lighting for the stations and along the rail track for the journey which commenced at Churston and finished almost 7 miles away in Dartmouth, before making the return journey. With many different types of lighting utilised throughout, our LEDJ Spectra Par series played a key role. In fact, an impressive 160 Spectra Pars and Floods were rigged to the underside of the steam trains 10 carriages which were all DMX controlled via QLab. These IP rated exterior fixtures are both compact and robust making them ideal for this type of installation. With 18 x 3W tri-colour LEDs (RGB) and a 40° beam angle the LEDJ Spectra Floods are perfect for feature lighting, providing colour wash effects to the outside of buildings, signage, façades and many other exterior applications. Simple daisy chain connection of power and DMX means that installation time and cost is reduced. 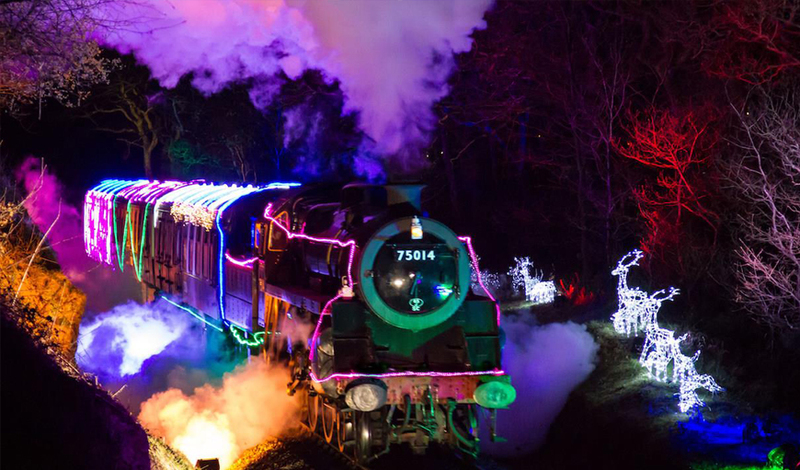 This truly spectacular illuminated journey started at Queen’s Park Station, Paignton, where you boarded the steam train that had vintage carriages decorated with thousands of lights. After a short journey you arrived at Churston Station where the dazzling show began and propelling you through a 450-metre technicolour Greenway tunnel. This leads onto an enchanted forest which was transformed by a multitude of lights and featured displays. The breath-taking show ended as you left the forest with to see twinkling lights reflected on the river Dart. After a quick turnaround at Kingswear you will be on your way back to Paignton to experience the spectacle from a different direction. Christmas was certainly made even more magical for many people with this PL1 Events installation, and you have to see this to believe how amazing and enchanting the event was, so we highly recommend you watching the video below.